Situated across from Glen Edyth Park in the heart of Toronto, this existing wartime bungalow - and its accumulated additions- were a loose assembly of aesthetics and spaces in need of formal cohesion. 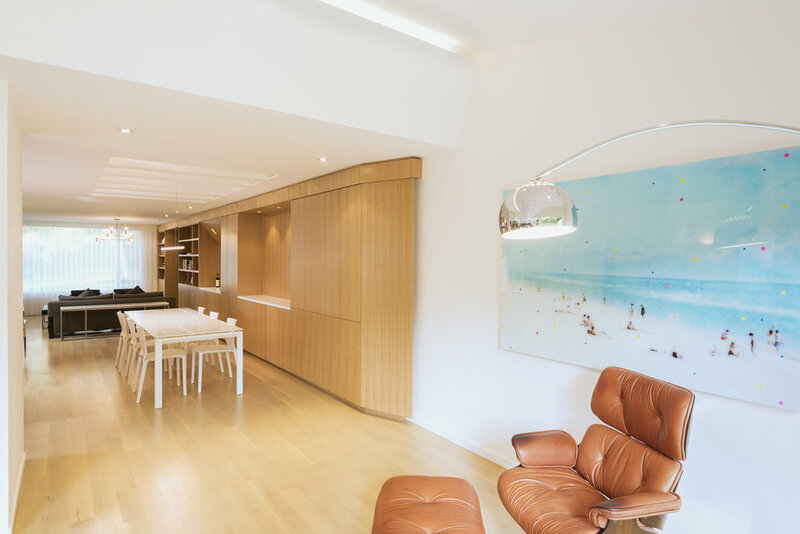 Having already been modified in the 1970s with the construction of a mono-shed roof and then a second storey, the dwelling required an extensive renovation that could consolidate a series of contrasting constructions to create several dynamic yet inter-connected and vaulted spaces. 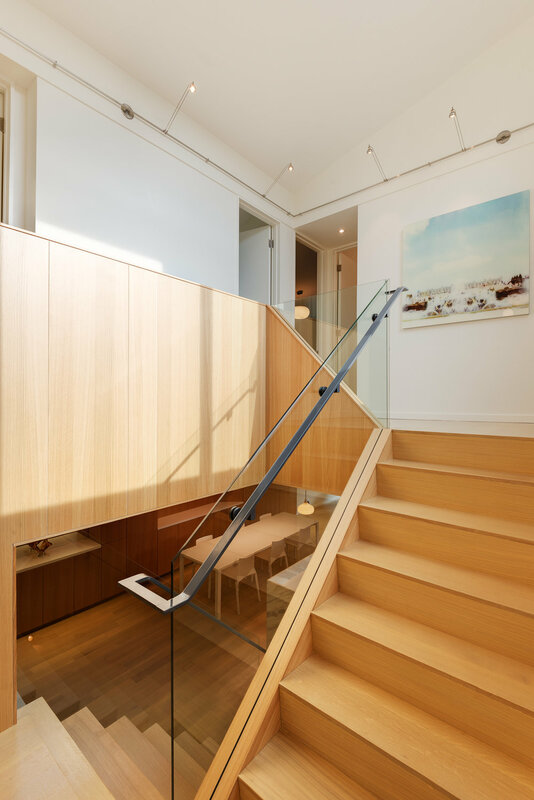 The southern end of the home has been opened up to natural light, with the affect being is further augmented by a series of clerestory screens and the removal of all superfluous interior partitions throughout the home. The original floor joists were quite deep which enabled the creation of an expansive and articulated recessed ceiling on the ground floor. The kitchen now features a large marble island that serves as a focal point towards the back of the home. A new oak feature stair is situated in the centre of the floor plan as a lynchpin between the kitchen / living room/ and upper landings.